As we receive the holiday season, there is much to reflect upon and be grateful for. November 6, 2018 was a historic election for the immigrant community and for communities of color. Leading up to the election, politics and policies of racism, hatred, and fear were frighteningly becoming the norm. However, thanks to strong mobilization efforts across the country, members of Congress are more diverse than ever including historic firsts for Black, Muslim, Latinx, and Native American women as well as the LGBTQ community. This is something truly wonderful to celebrate! With the new makeup of Congress, we are hopeful that there will be a robust check from the legislature against the white supremacist agenda that is being promoted by the White House. We must continue to work together to push members of Congress to protect immigrant communities and communities of color. We will continue to urge them to resist Trump’s hateful policies, pass policies that value the lives of immigrants and refugees, like Health4All at the state level, and continue to fight back against ICE and law enforcement entanglement at local levels across California. And we must continue to organize and mobilize the most affected to lead the way for greater change in 2020! In the remaining months of 2018, we urge community members to help us fight against proposed regulations on public charge and the detention of immigrant children, families, and community members. We are also ready for the budget battle approaching in December, calling to #DefundICE and #DefundCBP. As we all celebrate the holidays with our loved ones, we would like to thank you for your partnership! Your support has been vital to the progress we have made as a community thus far. We are so thankful! Lastly, we invite you to join our special Season of Giving Campaign that will continue to uplift the lives of immigrants and refugees today. Thank you for your kindness and generosity. 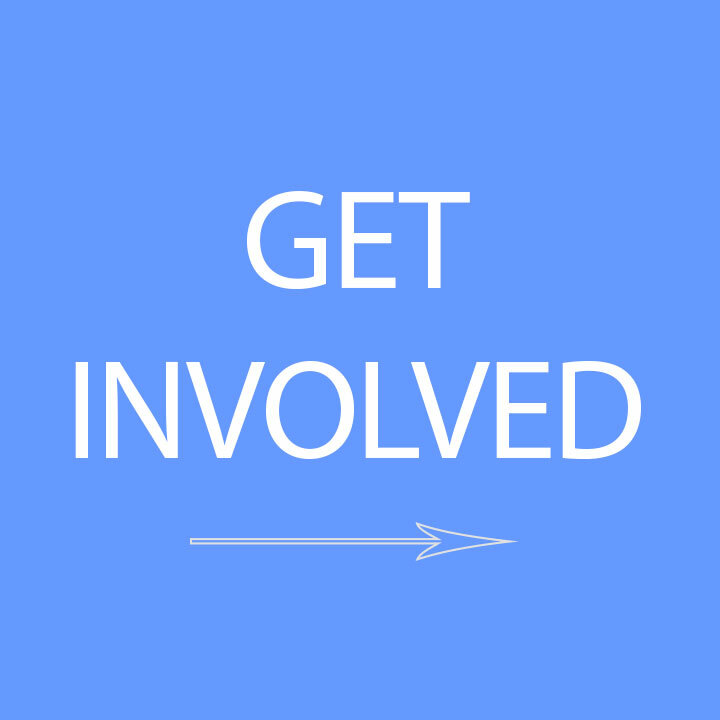 -Over 200 Spanish and Vietnamese speaking volunteers recruited, trained, and mobilized. -Over 5,000 texts sent to our SIREN network. -Over 15,000 youth and new American citizens registered to vote. -Over 130,000 phone calls to low propensity voters. One thing that stood out in the recent election was the amazing impact of young voters and activists across the country. SIREN is privileged to count on the support of many dedicated youth activists like Tiffany Vuong. Tiffany first heard about SIREN when she was a student at UC Santa Barbara studying sociology. Upon relocating to the Bay Area, she came to SIREN because of her commitment to social justice. Tiffany has been part of SIREN’s phone banking efforts, informing people about Proposition 10, Proposition 5, and encouraging voters to participate. Join us in recognizing and thanking Tiffany, our extraordinary SIRENISTA. SIREN is proud to have registered over 15,000 new voters across Northern California and the Central Valley! 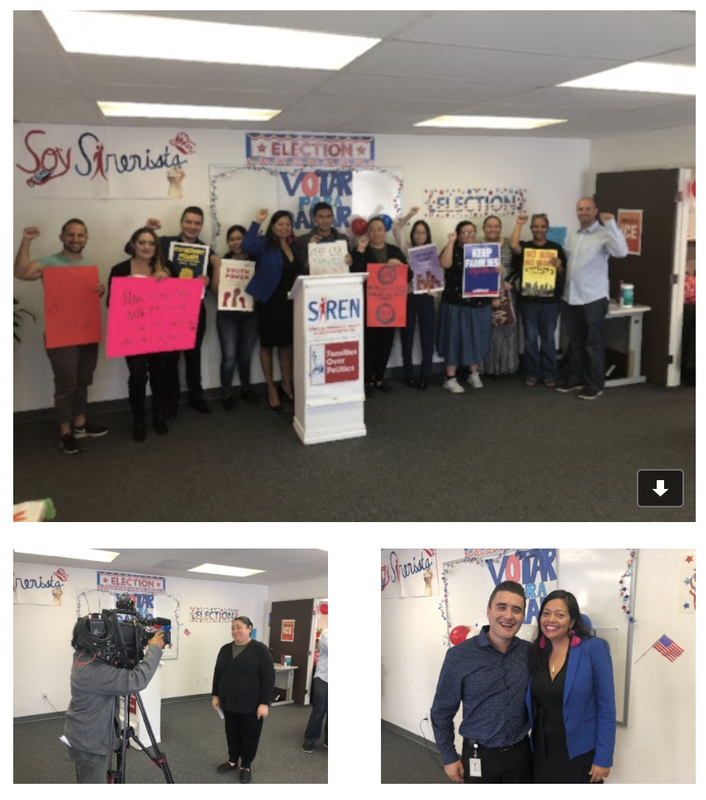 “Through door-knocking, canvassing, texting and many outreach efforts at schools, and local colleges in rural towns across the Valley, our electoral team was instrumental in building the power of the immigrant and refugee voice in this election,” said Maricela Gutiérrez, SIREN, Executive Director. 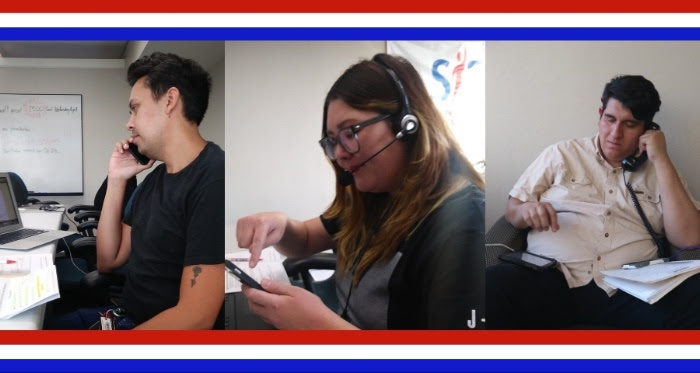 In addition to voter registration efforts, SIREN staff and volunteers made over 100,000 phone calls in multiple counties across the Central Valley to inform voters and get out the vote. One of the most impactful election results in the region was the defeat of four-term Republic U.S. Rep. Jeff Denham, who had continuously ignored SIREN’s demands to support DACA and other important pro-Immigrant policies. “The people have spoken and we are excited to have new leadership in the region that will listen to the needs of our diverse, immigrant communities,” said Josefa Vega, SIREN’s Civic Engagement Associate. Our deepest thanks to all who were part of making history in the Central Valley! While many of us will be together with our loved ones rejoicing over the holidays, there are so many who find themselves separated from their families. Sadly, many are also behind bars waiting to be reunited with the people that they love. Tragically, some of these individuals are frightened children who were ripped from the arms of their parents. These are the thoughts that fill our minds at SIREN. Justice cannot wait for those who face these unfortunate circumstances. This is what drives us to work harder and do more, when we dare to think that we are at our limit. As you give thanks for the many blessings in your life, we hope you will take a moment to think about how you can bring this same joy to others, especially immigrants and refugees who are fighting to be reunited with their loved ones. If you can join our Season of Giving Campaign by making a donation of any size today, you can rest assured it will be invested in bringing joy and hope to others in our community. Please donate here. Thank you for your support and generosity! Happy holidays to you and yours! Free Citizenship Clinic this Wednesday 9-4pm at SIREN San Jose’s office. For more information click here. 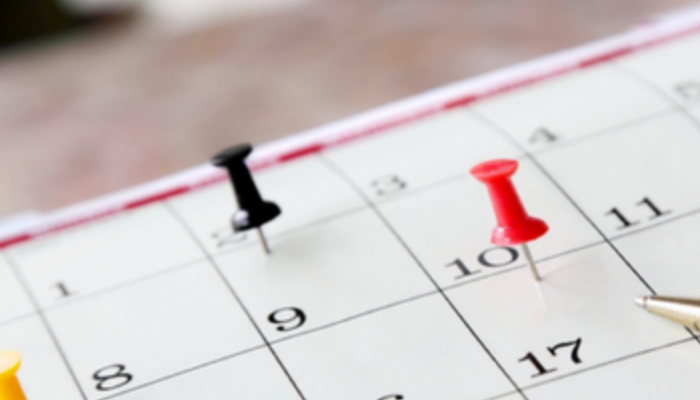 Visit SIREN's legal clinics calendar by clicking here. Check out our latest job openings here. A medida que recibimos la temporada festiva, hay mucho en que reflexionar y agradecer. El 6 de noviembre de 2018 fue una elección histórica para la comunidad inmigrante y para las comunidades de color. Antes de la elección, terriblemente, las políticas de racismo, odio y miedo se estaban convirtiendo en la norma. Sin embargo, gracias a los fuertes esfuerzos de movilización en todo el país, los miembros del Congreso que representan al pueblo estadounidense son más diversos que nunca e incluyen los primeros lugares históricos para las mujeres y las comunidades Afroamericanas, Musulmanas, Latinoamericanas y Nativas Americanas, así como para la comunidad LGBTQ. ¡Esto es algo realmente maravilloso para celebrar! Con la nueva composición del Congreso, tenemos la esperanza de que habrá un control sólido de la legislatura contra la agenda racista que está promoviendo la nueva administración. Debemos continuar trabajando juntos para presionar a los miembros del Congreso a proteger a las comunidades inmigrantes y a las comunidades de color. Continuaremos instándolos a resistir las odiosas políticas de Trump, aprobar políticas que valoren las vidas de los inmigrantes como Saludo Para Todos (Health4All) a nivel estatal, y continuaremos luchando contra La Migra (ICE) y el enredo entre las agencias de policía al nivel local en California. ¡Y debemos continuar organizando y movilizando a los más afectados para liderar el camino para un cambio mayor en 2020! En los meses que quedan del 2018, instamos a los miembros de la comunidad a que nos ayuden a luchar contra las regulaciones propuestas sobre la carga pública, y contra la detención de niños inmigrantes, familias y miembros de la comunidad. También estamos listos para la batalla presupuestaria que se aproxima en diciembre y solicitamos su ayuda. ¡Mientras que celebramos las fiestas con nuestra familia y amigos, nos gustaría agradecerles por su colaboración! Su apoyo ha sido vital para el progreso que hemos logrado como una comunidad hasta ahora. ¡Estamos muy agradecidos! Por último, le invitamos a unirse a nuestra campaña especial de donaciones que continuará elevando las vidas de los inmigrantes y refugiados hoy. Gracias por su amabilidad y generosidad. -Más de 200 voluntarios bilingües en español, inglés y vietnamita reclutados, entrenados y movilizados. -Más de 5,000 textos enviados a nuestra red de SIREN. -Más de 15,000 nuevos jóvenes y nuevos ciudadanos estadounidenses se registraron para votar. -Más de 130,000 llamadas telefónicas a votantes de baja propensión. “Al celebrar estos logros, debemos de continuar construyendo sobre los logros alcanzados en todo el país para tener un liderazgo que sea más representativo de todos los estadounidenses. Esto es solo el comienzo,” dijo el Director de Participación Cívica, Jeremy Barousse. “Debemos de tratar cada elección como una oportunidad crítica para dirigir el futuro de nuestras comunidades. En SIREN, esperamos continuar trabajando con nuestros voluntarios dedicados y líderes comunitarios para impulsar una agenda pro-inmigrante." Una cosa que se destacó en las recientes elecciones fue el asombroso impacto de los jóvenes votantes y activistas en todo el país. SIREN tiene el privilegio de contar con el apoyo de muchos activistas juveniles dedicados como Tiffany Vuong. Tiffany escuchó por primera vez sobre SIREN cuando estudiaba sociología en la Universidad de California en Santa Barbara. Al mudarse al Área de la Bahía, ella vino a SIREN debido a su compromiso con la justicia social. Tiffany ha sido parte de los bancos telefónicos de SIREN, informando a las personas sobre la Proposición 10, Proposición 5 y alentando a los votantes a participar. “Me considero una feminista interseccional. Eso significa que no hay una sola vía para la liberación. Si vamos a ser libres, debemos asegurarnos de que las cosas sean iguales para todos, sin importar la identidad, clase, género, color, etc. ", dijo Tiffany. "Nadie es libre, a menos que todos nosotros lo seamos." Únase a nosotros en reconocer y agradecer a Tiffany, nuestra extraordinaria SIRENISTA. ¡SIREN se enorgullece de haber registrado a más de 15,000 nuevos votantes en el norte de California y el Valle Central. "SIREN, a través de llamadas, tocando puertas, mensajes de texto y muchos esfuerzos de divulgación en escuelas y universidades locales en pueblos rurales de todo el Valle. Nuestro equipo electoral fue fundamental para dar voz y crear el poder de la comunidad inmigrante y refugiada en esta elección," dijo Maricela Gutiérrez, SIREN, Directora Ejecutiva. Además de los esfuerzos de registro de votantes, el personal y los voluntarios de SIREN realizaron más de 100,000 llamadas telefónicas en condados múltiples en el Valle Central para informar a los votantes y obtener la votación. Uno de los resultados electorales más impactante en la región fue la derrota del Representante Jeff Denham, quien continuamente ignoró las demandas de SIREN para apoyar a DACA y otras políticas pro-inmigrante. "La gente ha hablado y estamos entusiasmados de tener un nuevo liderazgo en la región, que escuchará las necesidades de nuestras diversas comunidades de inmigrantes," dijo Josefa Vega, Asociada de Participación Cívica de SIREN. ¡Nuestro más profundo agradecimiento a todos los que fueron parte de hacer historia en el Valle Central! Mientras que muchos estaremos juntos con nuestras familias regocijándose por las fiestas, hay muchos que se encuentran separados de sus familias. Lamentablemente, muchos también están tras las rejas esperando a reunirse con las personas que aman. Trágicamente, algunos de estos individuos son niños traumatizados que fueron arrancados de los brazos de sus padres. Estos son los pensamientos que llenan nuestras mentes en SIREN. La justicia no puede esperar a aquellos que enfrentan estas desafortunadas circunstancias. Esto es lo que nos impulsa a trabajar más y hacer más, cuando nos atrevemos a pensar que estamos alcanzando nuestro límite. Al dar las gracias por las muchas bendiciones en su vida, le pedimos que tome un momento para pensar en cómo puede llevar esta misma alegría a otros, especialmente a los inmigrantes y refugiados que luchan por reunirse con sus seres queridos. Si puede unirse a nuestra Campaña de Donación, al hacer una donación de cualquier tamaño hoy, usted puede estar seguro de que se invertirá en brindar alegría y esperanza a otros en nuestra comunidad. Por favor done aquí. ¡Gracias por su apoyo y generosidad! ¡Felices fiestas para usted y sus seres queridos! Taller the Ciudadania este miércoles, 21 de noviembre de 9-4pm en nuestra oficina en San José. Para más información, haga clic aquí. Visite el calendario de clínicas legales de SIREN haciendo clic aquí. Mire nuestras últimas ofertas de trabajo aquí.